VNC and Microsoft RemoteDesktop both provide remote control software which lets you see and interact with desktop applications across any network, however either software requires to install a client application on control side. 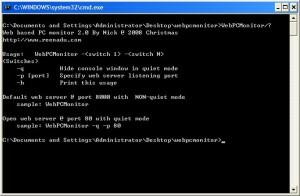 Here I have developed a small tool, WebPCMonitor. It will allow you to see and interact with your own PC desktop through HTTP protocol. It means that on client side, you don’t need install any 3rd party tool but a internet browser. 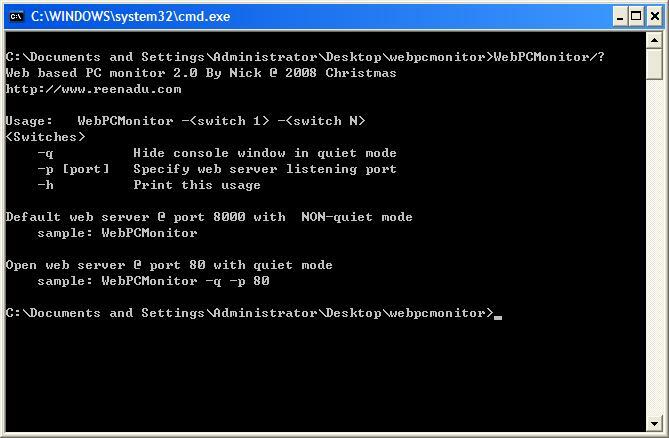 Simply type your remote PC’s name or IP address, and you will see your PC’s desktop. You even can remote control your PC through PDA or SmartPhone (eg iPhone, iPad, Android, etc) as long as you have internet access. This tool works with Win98, Win2000, WinXP, and Win7. This post originated from my previous question. In previous question, I was asking how to create a circular list box control. A list box, if scroll down to the last element and continue scroll down, it will appear first element; if scroll up to the first element and keep scroll up, it will appear last element. It looks like IPhone alarm setting function. Here is my solution. This article was posted on last Christmas. Now I move this to my new home. Dump the following code and run it. Some website, eg http://www.danasoft.com/, provides customized signature that shows the ip address, the ISP, the OS and browser. You also can DIY your own with your style. This article is for anyone who has basic network knowledge and is interested in DIY and it will guide you from start to finish so you get the full picture. This article actually was written in last Christmas, now I just re-post in my new home. Every programmer wants his application GUI to stand out, and so do I. A new idea came into my mind. I would like to add a Christmas hat on the top left corner of my WinForm application. This is not only simple but also not adding too much work load. .Net application skin could be the first solution for most programmer. But it seems not worth it, because a huge skin library has to be installed just for this simple function. Furthermore, commercial skin library is not free at all. I have to go back google again. Someone mention that it can override WndProc and in WM_NCPAINT, you have to draw your own title bar, and write function for each button. It seems a lot of work to do.Finally, I invent this peculiar way. If you are following the previous two articles, you will see a “Word” document in your frond. However, you may find some glitches in this document and there is a hidden box on top of the document. This is because ASP.Net generates “__VIEWSTATE” hidden view to track each page status. We don’t want this field to be displayed as this should be a final “Word” document without any attached strings. To get rid of this, we have to override Render method. You should have a complete “Word” document right now. When clicking download generated document, IE will pop up “File Download” dialog as expected. However when opening the downloaded document, MS Word will be in “Web Layout View” instead of “Print Layout View”. OK! Now when MS Word opens this html style Word document, it more likely opens a real Word document. Another issue comes up that MS Word is so smart, and it automatically breaks the page. If you want to break the page on a certain position, you can insert the following code into your html style Word document. Currently I am using ASP.net and working on a web project, which requires dynamically generate Microsoft Word submission document. The generated document must be specific format, and include page number, last print date, company logo, etc. At first, I was thinking of using COM (Component Object Model). Because MS Word can comfortably work with .Net framework, .Net provide easy runtime callable wrapper. But it requires MS Word to be installed at server side, and it may slow down web server running. I have to give up. And then I was looking for 3rd party .Net library generate MS Word. It’s not a cheap solution either. After google, finally I found out that MS Word is compatible with HTML file format. As long as you rename .htm to .doc. 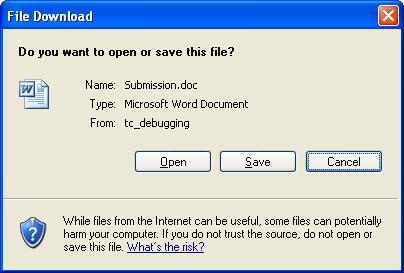 MS Word can easily open. What I can do is to create a html template and then filled out the dynamic sections and response back to end user. I will keep posting the problem that I met and the solution in the next few posts.